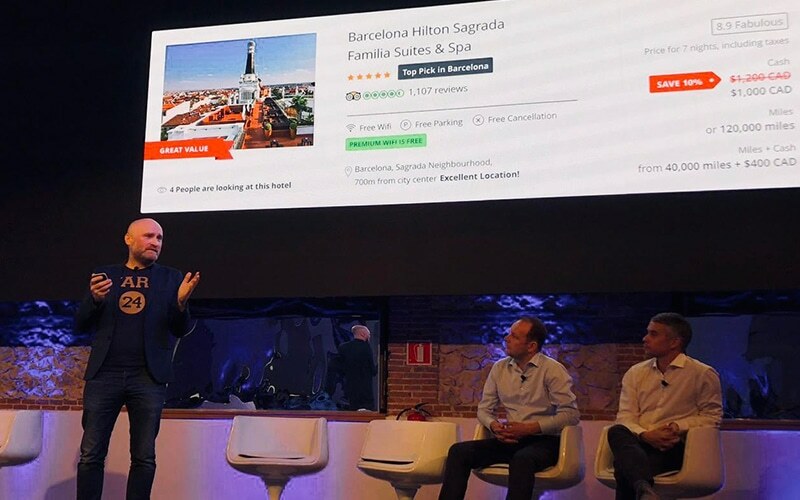 Frank Gaine of Frontend.com shared his insights on how to increase e-commerce conversion rates at the 2018 OpenJaw Technologies Global Travel Summit in Madrid last week. This annual summit addresses strategies, tools, and techniques for successful travel retailing – everything from digital experience to digital marketing and from big data to cognitive commerce. 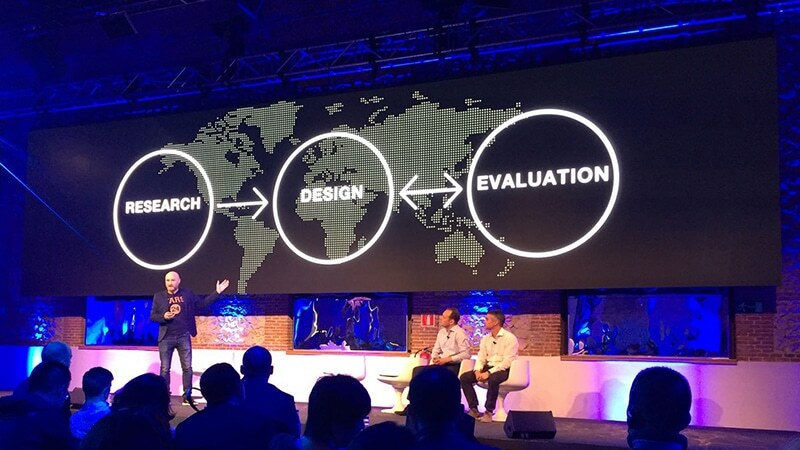 More than two hundred travel retailers from USA, Europe, and Asia attended this year’s event over three days in Madrid, Spain. Explaining how best practices in user experience design can improve acquisition, conversion, and revenues online, Frank outlined how evaluating industry best practice can inspire the design of customer journeys that can lead to better conversion. Moreover, by applying critical thinking, Frank showed how a framework can be forged from the melee of conversion messaging (for example ‘Only Two Left’) that is used on sites across the travel industry. Any given conversion message can fit into one of five categories; Urgency-Related, Site-Generated, User-Generated, Price-Specific, or Benefits-Specific. The focus on customer journeys and conversion messaging has been a central part of Frontend.com’s design strategy for Openjaw’s t-Retail platform, helping to build sales and win new business around the world. Frank also took part in a lively panel debate focused on ‘The Conversion Conversation’, an in-depth discussion of best practices in acquisition, conversion, and payments in travel retailing today. 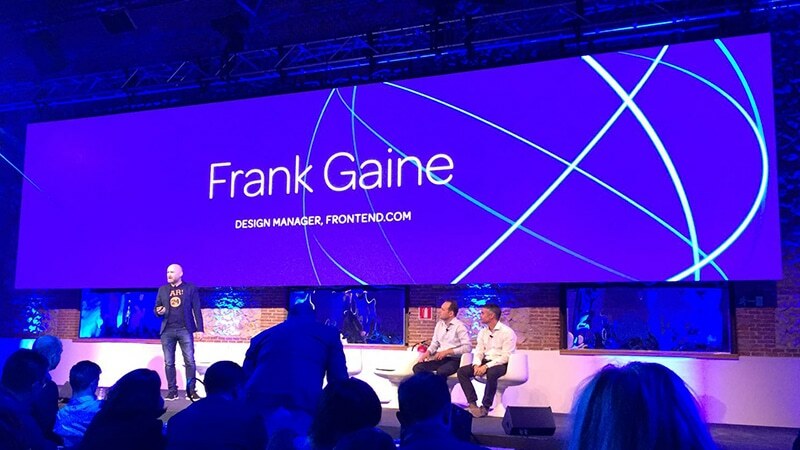 A key takeaway from Frank’s contribution was that context of use and emotional state need to be taken into account when presenting the most effective conversion message, something Frontend.com has learned from their work on nudge theory in medical drug adherence. OpenJaw Technologies is a technology partner that enables Airlines, Online Travel Agencies, Loyalty Programmes, and Hotel Groups to excel at retailing travel products online.